Can Jerusalem be turned into a high-tech hub? This article was sponsored by and produced in partnership with Start-Up Nation Central, an Israel-based nonprofit that provides a gateway to the Israeli innovation ecosystem and strengthens Israel’s tech economy by convening government, industry, academia and NGOs to help shape policies that support Israel as a thriving innovation nation. This article was produced by JTA’s native content team. JERUSALEM (JTA) – Jerusalem is a city of endless titles and designations: City of Gold. Zion. The Holy Sanctuary. City of Peace. It’s rarely thought of as a high-tech hub, and that’s not just because of the ancient buildings. Well over half of Jerusalem’s residents are Arab or haredi Orthodox, two of Israel’s least tech-immersed populations. But high-tech’s growing foothold here is changing things. Last year, a Jerusalem company, Mobileye, became Israel’s biggest high-tech success story when it was sold to Intel for $15.3 billion. In 2015 MassChallenge, a leading international, nonprofit startup accelerator, opened the newest of its seven worldwide locations in Jerusalem. WeWork, the co-working office space behemoth started by kibbutz-born Adam Newman, opened its first Jerusalem building earlier this year to service the city’s growing tech entrepreneurial class. A long-awaited high-speed train promises to further integrate Jerusalem’s high-tech scene with that of the bustling tech metropolis of Tel Aviv, where roughly half of Israel’s startups and most of its venture capital reside. The changes are heartening to those who believe that Jerusalem’s diversity of populations is an opportunity to build a dynamic high-tech culture — and maybe even a shared Israeli future. The growth of a local tech scene is a potential godsend. Jerusalem long has been in desperate need of an economic turnaround. The city, Israel’s largest, is sinking deeper into poverty even as the country generally thrives. It is by far Israel’s poorest city. Forty-six percent of Jerusalemites live below the poverty line, including 58 percent of children, according to the Jerusalem Institute for Policy Studies. By comparison, Israel’s second-poorest city, Ashdod, has a poverty rate of 18 percent, according to the Central Bureau of Statistics. Poverty is most widespread among Jerusalem’s Arab and haredi populations, which respectively account for 38 percent and 21 percent of its nearly 900,000 residents, according to the Jerusalem Institute. Three-quarters of Arabs, most of whom live as non-citizens in eastern Jerusalem, are impoverished, along with about half of haredim. Tech is a rare bright spot in the city’s economy. Aside from Mobileye, other recent Jerusalem success stories include Lightricks, a wildly popular maker of photo and video apps that has attracted some $10 million in venture capital funding; Hometalk, the biggest online platform for home and garden DIY; and Orcam Technologies, a $1 billion company started by Mobileye’s founders that makes devices to assist the visually impaired. 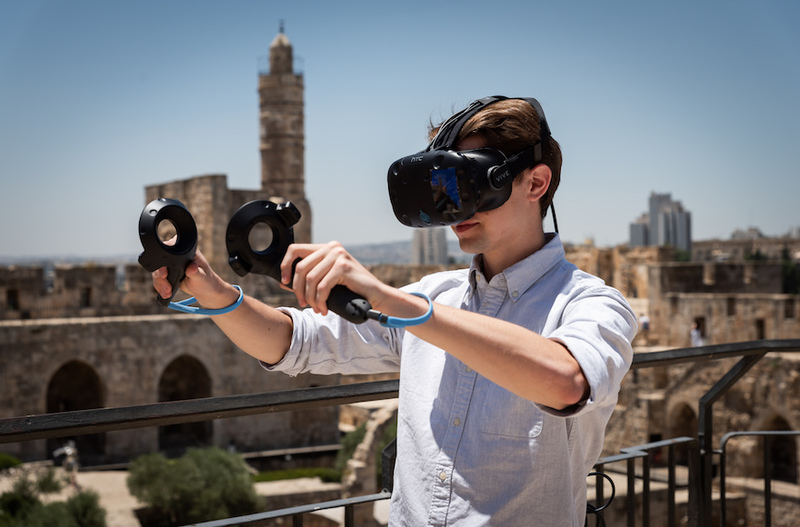 Jerusalem is now home to some 470 active technology companies and 23 venture capital firms, according to the Start-Up Nation Finder, a public database of Israel’s technology ecosystem. In 2012, the city had just 200 companies and seven investors, according to Start-Up Nation Central, the nonprofit promoter of Israeli high-tech that runs the database. Continued growth is expected: The Jerusalem Development Authority predicts that Jerusalem will add 5,000 high-tech jobs by 2025. Meanwhile, Jerusalem’s institutes of higher education are trying to lay the groundwork for the next generation of innovation. In early November, The Hebrew University of Jerusalem, the Bezalel Academy of Arts and Design and the Azrieli College of Engineering were jointly awarded a $5.4 million grant from Israel’s Council of Higher Education to establish an entrepreneurship and innovation center. The project will triple the size of Hebrew University’s current high-tech campus at Givat Ram, in central Jerusalem, and greatly expand programming there. The Hebrew University’s technology transfer company, Yissum, is also seeking closer collaboration between academia and industry, including allowing companies to issue funded challenges to researchers. Bezalel, Israel’s century-old national school of art, is building its own new campus in downtown Jerusalem. Slated for completion in 2022, it will feature labs for virtual reality and other high-tech fields. Bezalel President Adi Stern touts the move as part of a broader effort by the august institution to “leave the ivory tower” and connect students to the city and its high-tech scene. “Jerusalem is a tough city. It’s a complex city,” Stern said. “But from my perspective, and I think from the general perspective of an art school, it is the place to be. We sort of like conflict. The Jerusalem municipality has made its own commitment to high-tech. Mayor Nir Barkat, who once earned millions in the industry and is now moving from municipal to national politics, in 2015 rolled out “Jerusalem 2020,” a high-tech-heavy strategic plan for the city that included the recommendation to build the entrepreneurship and innovation center. With its five-year budget last year boosted to $100 million from $20 million, Jnext has promoted and funded projects like Alynnovation, a hub for developing children’s rehabilitation technologies and the AYLN Woldenberb Family Hospital, and QueenB, a coding mentorship program for middle-school girls. The city and state have particularly sought to capitalize on the world-class biomedical research being done at The Hebrew University and the affiliated Hadassah Medical Center. At BioHouse, a new co-working space for biomed startups launched in June, entrepreneurs have access to Hadassah hospital’s knowledge and facilities. They can also appeal for support to BioJerusalem, a Jerusalem Development Authority initiative to promote biomedical economic development. Ultimately, the key to Jerusalem’s success may lie in its biggest challenge: whether Arabs and haredim, who together comprise only about 2 percent of Israel’s high-tech employees, according to Start-Up Nation Central, can be integrated into the high-tech workforce. It’s a challenge not only for Jerusalem but for the country as a whole, where haredim and Arabs are the two fastest-growing demographic sectors and where the high-tech workforce is short an estimated 15,000 high-skilled workers. “Israel doesn’t have a choice but to integrate women, haredim and Arabs into the core of the high-tech industry,” Start-Up Nation Central CEO Eugene Kandel said in October, echoing warnings by the Israeli government and others. “Integration into tech will address their social mobility and it will provide the industry with a large pool of talent it needs so much to grow.